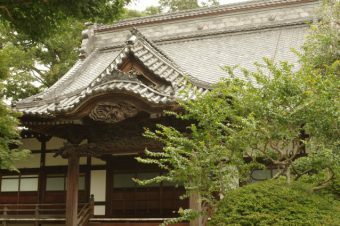 The Komyoji Temple, part of the school of Jodo Shinshu Buddhism, dates back to the year 1212. 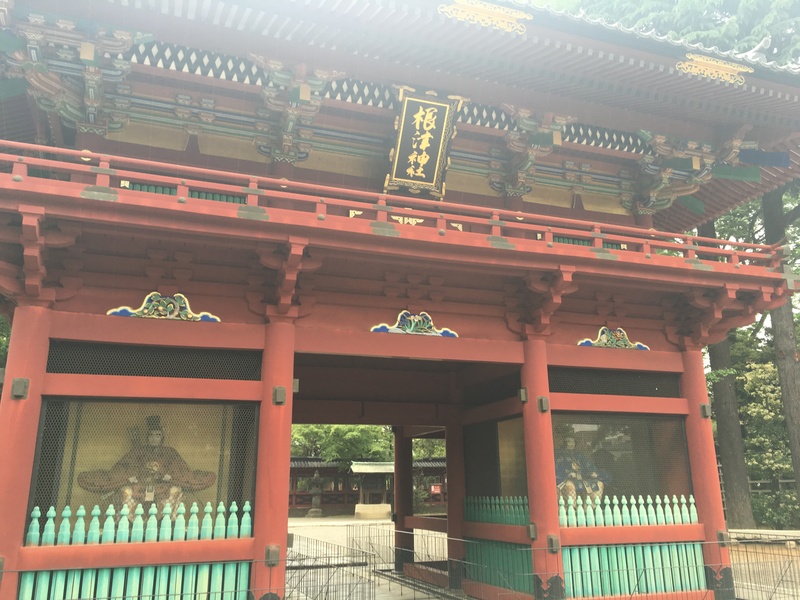 Like many other temples, the Komyoji Temple suffered from the Great Kanto Earthquake (1923), which triggered a fire to the temple, which burned it to the ground. The temple was rebuilt after the fires, but due to WWII, the buildings were destroyed once again. Finally, the current buildings of the temple were established in 1970 and have stood tall since. The Great Kanto Earthquake was not the first time the temple has suffered from fire. In the year 1772, a large fire burned most of the temple’s buildings to dust and took several victims. 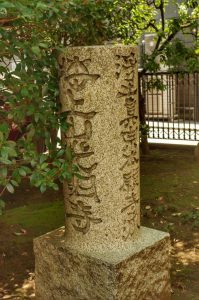 Therefore, “The Grave of Burned People” was set up on the temple grounds and can still be visited there today. 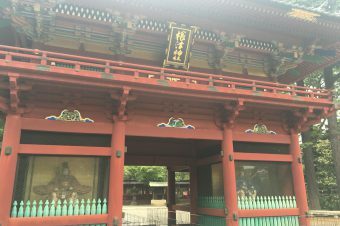 The Komyoji Temple lies in a district of Tokyo that is crowded with business offices, something that does not attract tourists. 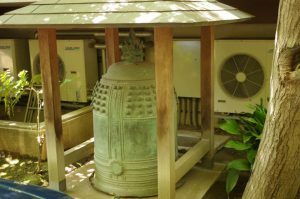 However, when we visited the temple, we saw a lot of Japanese and foreign people exploring the temple during their lunch breaks from work. We thought this was a very unique situation. 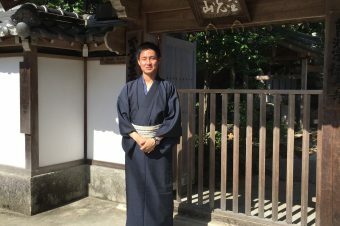 This is because people who work in Tokyo are always extremely busy, much like New York, so during their breaks they like to relax outside of their office, especially in peaceful environments like a temple. We followed the flow of people entering the temple. The inside of the temple is an absolutely amazing atmosphere. It is definitely a good place to relax. 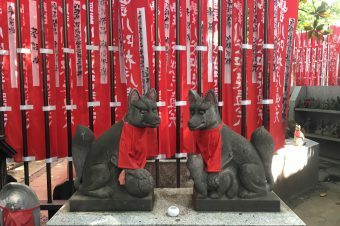 The temple is surrounded with an abundance of nature and we could relax while hearing the sounds of insects and birds and remember our hometowns (all of us are from outside of the big city). 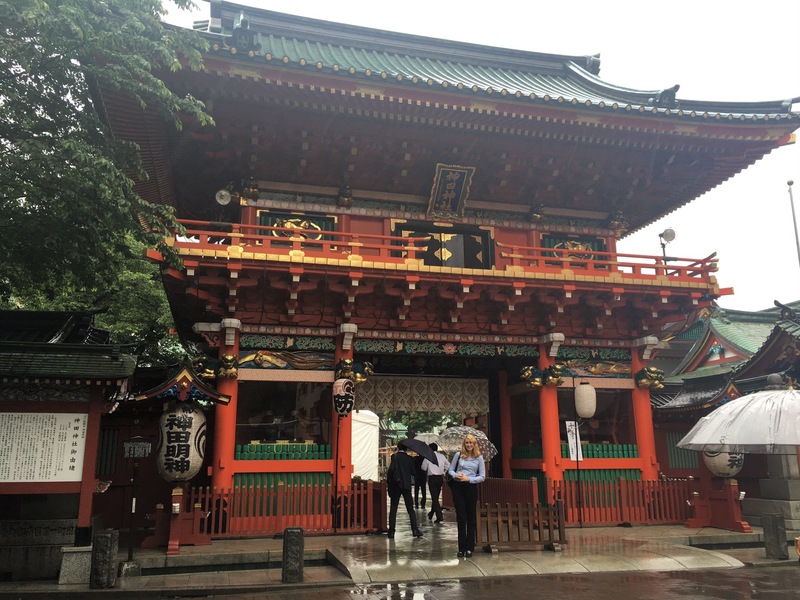 We felt that this temple is an oasis in the urban city of Tokyo. When we arrived at the Hondo (main building of the temple), people went upstairs. We didn’t know why people went upstairs, because we thought they wanted to worship at the temple. 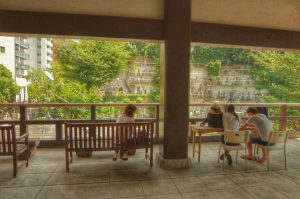 We followed the crowd upstairs to find that they have a cafeteria open to the public on a terrace of the Hondo. We were surprised and overwhelmed by this scene because we had never seen such a scene in a temple before. The cafeteria was crowded with people and the view from the terrace was marvelous and beautiful. We were even able to see the Tokyo Tower, which is a famous symbol of Tokyo. We were very lucky and able to talk with the chief priest of this temple. We asked him about why they have a cafeteria and open a part of the Hondo to the public. We asked because the Hondo is a sacred place in the temple. He told us that they want to offer a good place to relax to the people who work at offices nearby. 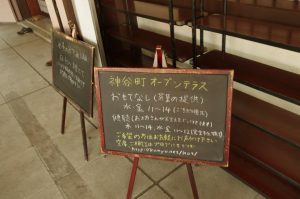 The reason they started the cafeteria is because they feel that it is important for temples to create a good relationship with their local people. 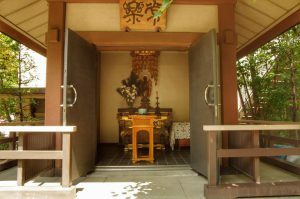 This temple stands as a root to this area. 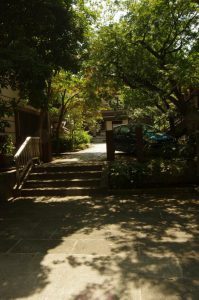 Not only the residents of this area, but also the people who work at offices close to this temple feel like they are part of a community with the temple. 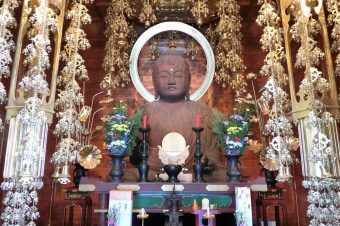 The priest advised us not to come to visit the temple on weekends because they are very busy on weekends. 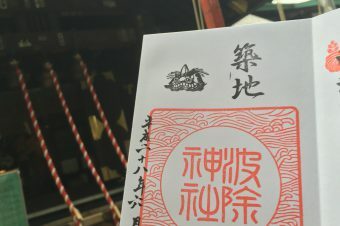 We personally recommend to all to visit this temple and relax with a drink. 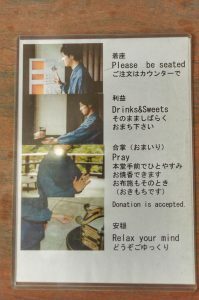 Just keep in mind that this temple is a school of Jodo Shinshu Buddhism, so therefore they do not sell omikuji, ema or goshuin. 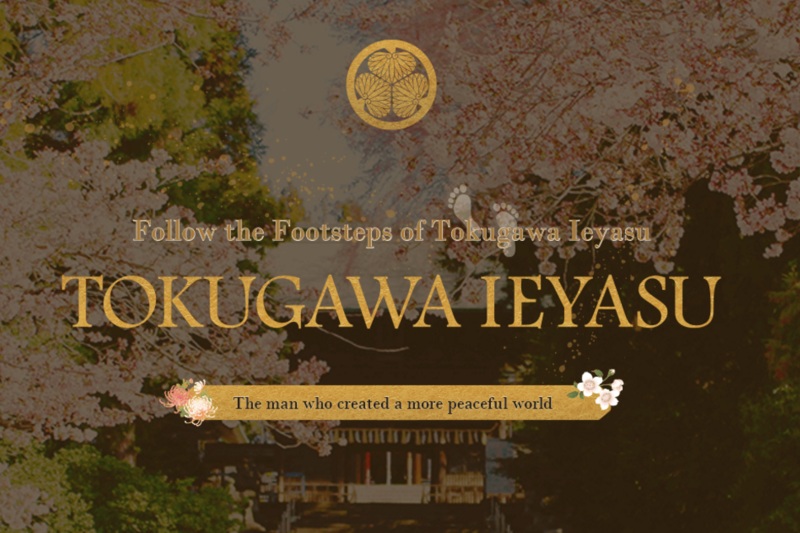 We hope you enjoy Komyoji Temple as much as we did!